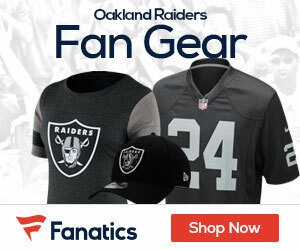 Raiders A Landing Spot For Josh McCown? The Oakland Raiders have been one of the NFL’s worst in the last decade. The team has been through one quarterback after the next. After Matt Flynn, Terrelle Pyror, and Matt McGloin proved to not be the answer in 2013 at quarterback, the search continues. 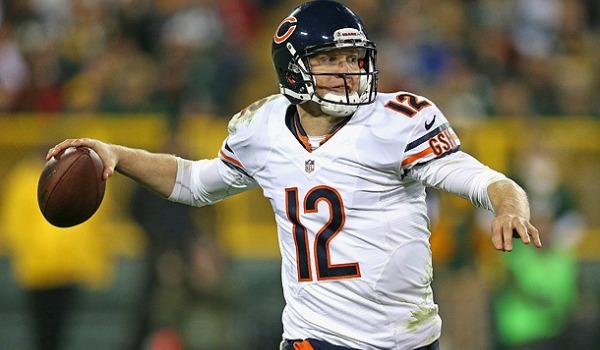 According to a report, the Raiders may be interested in free agent quarterback, Josh McCown. McCown spent one season with the Raiders in 2009 and did not produce the way that they had hoped (10 TDs, 11 INTs). However, after finishing his third season with the Chicago Bears as backup quarterback to Jay Cutler, McCown had his most impressive season to date. The 34-year-old veteran played in eight games, recording 1,829 yards, 13 touchdowns and just one interception. McCown held a rating of 109. McCown put on his most impressive performance, in a prime-time game against the Dallas Cowboys in week 14, when the veteran quarterback threw for four touchdowns and 348 yards. The Raiders will take a long look at the list of quarterbacks available to them but McCown could fit nicely in the package of offensive coordinator’s Greg Olson. Two other names the Raiders could be looking into are Josh Freeman and Matt Schaub. Brandon Sweeney is Co-Editor of the Gab Network. Follow him on Twitter @NFLNSTUFF, Like him on Facebook , add him to Google+, and Trust him on Sulia. Shows flash, with a decent offense. Has Matt Flynn written all over it. HE IS THE ONLY FA QB WORTH SIGNING. PICKING HIM UP AND GRABBING MATTHEWS IN THE DRAFT WOULD BE QUITE A COUP FOR THE S&B.